Driving through town on that first soft, white snowfall past the homes dripping in white lights, you move to raise the tuner on the car stereo. You knew what would be on the radio, or at least you hoped for it, and sure enough, Andy Williams reaffirms what you were feeling all along- that is is in fact the most wonderful time of the year. Soon enough, you’ll be planning Christmas Eve dinner and brainstorming gifts for friends and loved ones. Before you do all that though, you are going to need a tree. Many families struggle with the Christmas tree buying process. They are wary of the real tree because maybe they bought one too early last year and it dies off before the big day. Or maybe they’ve seen the YouTube videos of dry trees catching fire as though they’re soaked in kerosene. For parents of young children, this image is sure to set you on a mission for the best fake tree out there. But it doesn’t have to! There is nothing quite like the experience of packing the family into the Griswold family wagon, driving out to the country (or a local tree farm) and searching for the perfect tree to harvest for yourself. This tradition does not seem worth it if you don’t have all the information, but a well informed, real tree enthusiast knows exactly what type of tree to buy and when to buy it to ensure it stays safely alive based on their home and lifestyle. In this article, we outline everything you need to know to join the ranks of the Christmas Tree aficionado including when it’s time, where to shop, how to choose, and when your tree is ready for the curb. 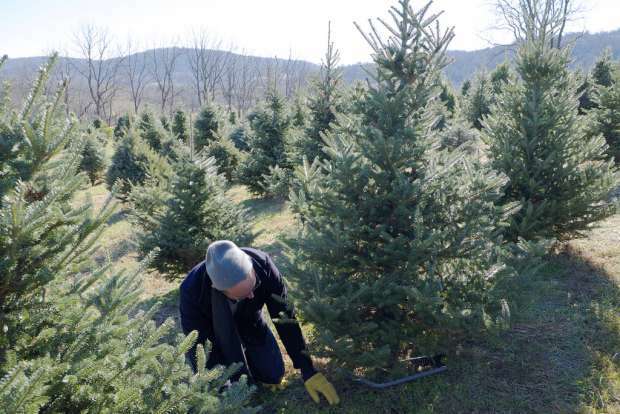 If you are chomping at the bit to go tree hunting directly after Thanksgiving, hold off. The best time to buy is around the second week in December. This time frame, (roughly two weeks after cutting) will ensure the tree maintains the look and color you fell in love with at the farm. While it may lose some of its luster, waiting a bit can also help your tree make it to New Year’s Eve, as is the tradition in some families. If you are nervous about whether or not the tree will last, or if you are forced to buy it earlier, store it outside in water. Our personal preference is the classic Christmas Tree farm. It allows you the experience of a wild tree harvest but with a little more control over things like nests, pests, funghi growth, and the like. The Christmas Tree farm typically provides some sort of cart and a saw and sends you on your way. They will usually also shake and bail the tree for easy transportation. A close second to the Christmas Tree farm is the local nursery. The trees here will likely be fresh cut within a day or so. While it isn’t quite the same experience, it is as close as you can get to cutting yourself. The upside to the nurseries is you do not have to scrutinize for tree shape as closely. Each will be a top notch contender selected by the nursery. Probably the most important factor to take into consideration when choosing your tree is the height. Before you head out into the field, measure the height of the ceiling in the room where the tree will call home. An eight foot ceiling does not, however, mean an eight foot tall tree. Be sure to account for the height of the tree stand and a star, angel, or whatever else you place atop. Shape is also important to choosing your tree, but this is a more subjective preference. Just be sure you are able to see the tree in its full form. That means, avoid trees that have been pre-bailed if shopping at a nursery. In terms of tree type, there are many! Traditionally, the Norway Spruce is the king of Christmas Trees. These have spiky needles and a strong pine scent. The Spruce needles tend to shed heavily, though, which is why many folks are opting for the Norway fir instead. The fir’s needles are softer and won’t fall as frequently, keeping sweeping and vacuuming to a minimum. The space that you are working with can also affect the type of tree you will want to buy. 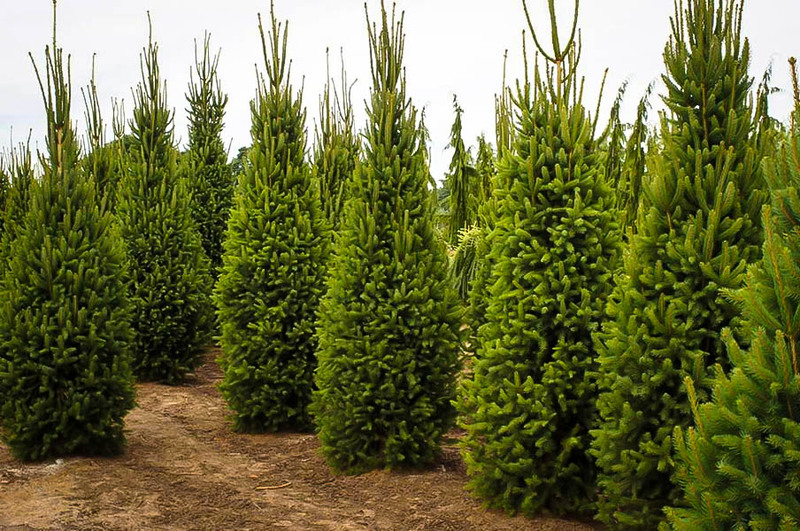 For instance, if you are planning on fitting your tree into a tight space, Fraser firs are a great option as they tend to have narrower bases. There are also trees that have a little bit of color to them. The blue spruce, for instance, is aptly name for its cooler color, but this type of tree is a preferred taste. Usually, trees are not kept in homes past January 6th, or twelfth night. No matter what type of tree you have, it likely won’t hold up much longer than that anyway. There really isn’t any danger in keeping your tree longer than this unless you are not adequately watering. Then, you run the risk of the tree drying out to dangerous levels. Also take into consideration that your heat is likely pumping throughout these months, blowing dry air at and around your tree. This will increase the thirst of your Christmas tree. The best way to gauge how much watering to do is to just feel inside the stand. The water will not sit. Your tree is a plant. It will absorb the water, so a dry stand means it’s ready. In terms of discarding, a lot of cities and municipalities will schedule a tree pickup at the end of December or in early January. If you want your tree dealt with this way, pay attention to the publication of these dates. Erecting a real tree in your living room is a tradition synonymous with Christmas and one that can be a wonderful part of the Christmas season for you and your family. The prospect can also be a bit scary if you’ve never done it before. The above guide is everything you will need to know to ensure the tree buying, maintenance, and discarding process goes smoothly this year and for years to come.